Jordan Brand has collaborated with Union Los Angeles and is all set to release an exclusive upcoming collaborative rendition of their Air Jordan 1 silhouette. 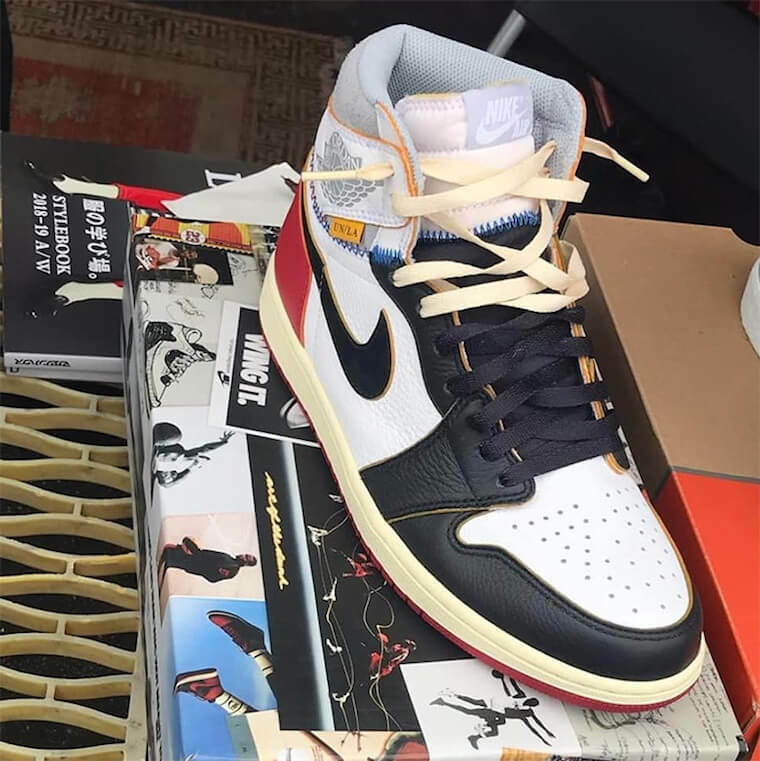 This collaboration basically reflects various details of previously released OG Air Jordan 1 sneakers as it comes highlighted with the “Black Toe” and features a White/Grey color scheme. Furthermore, the shoe has been enhanced with a vintage-styled built, Union LA labels placed underneath the Wings logo, and finally the two-tone laces that wraps up the whole design altogether. As for now no release date has been announced but you can have look at this upcoming sensation below.